AMERICA/COLOMBIA - Mgr. Ochoa denounces: "Young people are becoming the protagonists of criminal acts"
Cucuta (Agenzia Fides) - Drug use, verified by the high percentage of local drug trafficking involving the younger generation, is just one of many realities that worries the Catholic Church of Cucuta: "What one lives here in the border area has become a Via Crucis. 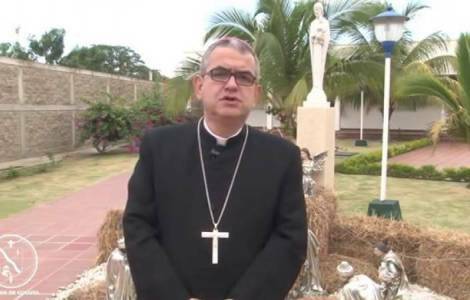 In Cucuta there is a lot of violence: murders, prostitution, and this is not good", said the Bishop of Cucuta, His Exc. Mgr. Victor Manuel Ochoa in an interview with Radio Caracol, sent to Fides. The saddest thing, he said, is that young people are becoming key protagonists in these criminal acts that occur every day in the city.